2. 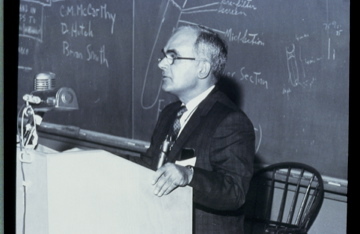 Pasteur used to say, (and Jack Lapides head of Michigan Urology from 1968 – 1983 repeated this phrase often) “chance favors the prepared mind.” Pasteur probably said something like this many times to people in his labs or to his students, but the historically documented quote came from a lecture at the University of Lille on December 7, 1854: “Dans les champs de l’observation le hasard ne favorise que les esprits prepares.” Many of Pasteur’s ideas, on topics as wide ranging as the germ theory of disease and religion were viewed as heretical by some, but his native country respected free speech, liberal inquiry, and peer review thus allowing the best of his ideas to grow and yield even further innovations. Thankfully, no self-righteous hardliners killed him in his lab or on the street and he lived a full life of amazing contribution to humanity. Pasteur criticized the fashion of compartmentalizing types of “science” thus anticipating the beautiful concept of consilience, the unity of knowledge, that E.O. Wilson espoused well over a century later. 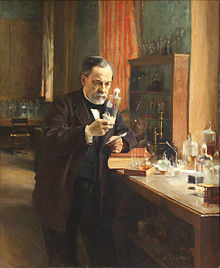 In 1871 Pasteur wrote (in translation): “There does not exist a category of science to which one can give the name applied science. There are sciences and the applications of science, bound together as the fruit of the tree which bears it.” In this light, the stern separation of basic sciences from clinical sciences in medical school curricula must be viewed skeptically. 3. Knowledge, the substrate of human progress, leads to technology, a signature feature of the human condition. 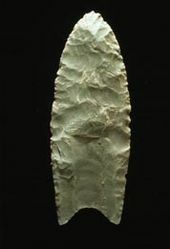 Over time rock-scraping tools became knives that in turn became spears and bow-propelled arrows. Within a countable number of intervening centuries the Swiss Army inspired a universally handy knife and Steve Jobs came along with the iPhone – both of these innovations are in my pockets everyday. Rather than stained glass technology or better razor blades the intellectual products of academic medical centers align to clinical practice, education, and discovery. Our Department of Urology well understands that the generation of knowledge and technology are at the core of our mission. The fusion gene in prostate cancer discovered by Arul Chinnaiyan and his team, and the histotripsy concept and technology (first clinical trials now successfully completed) of Will Roberts and his team are stellar examples of success at Michigan. Physicians are naturally curious about normal biologic function and investigation of normal biologic function and want to investigate pathology of disease. We satisfy that curiosity and investigate infirmities in clinics, at bedsides, in operating rooms, in laboratories, in datasets, in conferences, and in thought experiments. As Pasteur anticipated in his comments on categorization in science we should use the term clinical research more thoughtfully. Clinical has come to imply immediate practical utility for patient care. Research is an approach to discovery using observation, hypotheses, reproducible methods, analysis, and experimentation in many instances. We call this way of thinking science, and validate the discoveries that come from research by peer review and further testing. Some narrowly claim that any worthy research is hypothesis-driven research or randomized clinical trails (RCTs). Such investigations are important to be sure, but not at the expense of raw curiosity, observation, trial and error experimentation, and other methodological study. RCTs work better for drugs in rats than the ever-changing milieu of clinical medicine, and newer approaches such as adaptive design trials are necessarily coming into play. Major breakthroughs ahead of us in knowledge and technology are likely to come from unexpected and unorthodox sources and methods. We should be seeking them and incubating them. 4. What specifically do we want from clinical research? We want better understanding of biology and pathology so as to treat human disease and disability. We want better operative procedures and other therapeutic regimens, including clinical pathways and systems to manage episodes of disease. We want better healthcare delivery platforms and systems. We want better access to care for all people. We want better understanding of the health care workforce and better ways to match it to the needs of people. We want better pedagogical systems for all aspects of the workforce. We want better public health. We want better safety – in healthcare settings, in homes, in the workplace, in transportation, and in food. We want better disaster preparedness and management. All of these things relate to clinical research, including our world of urological clinical research. 5. My comments last month about panhandlers, homelessness, and hunger generated interesting feedback (forgive the double entendre), especially from a few sources of wisdom including Martha Bloom & Julian Wan. The local impact of these problems is visible almost every day on some streets in Ann Arbor, and even more so in larger cities. Mental illness, a huge problem in society, crosses all socioeconomic levels, yet at the lower end of the spectrum mental illness and substance abuse are major factors in the dysfunction of homelessness. Julian reinforced the idea that “not all panhandlers are homeless” pointing out that this is not a new idea. 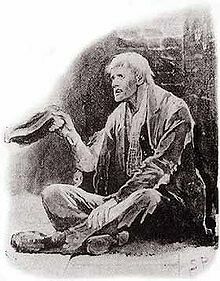 In 1891 Sir Arthur Conan Doyle published the Sherlock Holmes story of The Man with the Twisted Lip built around the idea that a country gentleman, Neville St. Clair, supported his lifestyle by posing as a destitute beggar in London. [Sidney Paget illustration in “The man with the twisted lip.” The Strand. December, 1891. Original caption: “He is a professional beggar”] Also, referring to last month’s Four Freedoms, Julian noted the importance of freedom from social restrictions that has attracted scientists and engineers from other countries to the U.S.A. “not just because of the earning opportunities” but also because they are less constrained by professional and social strictures than in their native countries. This last point is worth considering further. Social and professional strictures are intellectual tools necessary for 7 billion people to get along efficiently and fairly. At issue is the degree of constraint and acceptance of them by those so constricted. For us in western medicine, the Hippocratic Oath is widely accepted, comfortably self-imposed, and meaningful. On the other hand we find regulations that at one extreme may demand certain doctor-patient discussions (e.g. conversations regarding screening tests or surgical procedures) be held and documented in the medical record, while at the other extreme specific discussions such as abortion may be unacceptable or even illegal in some jurisdictions. Few would argue, however, that clinical suspicion of child abuse demands mandatory reporting. 6. Steven Brill’s new book, America’s Bitter Pill, was discussed last month in these columns where I opined that the Affordable Care Act’s (ACA) main effects are here to stay for a while, but may not be sustainable in the long run. The market, the academic community, and the government will inevitably offer up new ideas and experiments. Some may even be good. I read the book word-by-word, but you could save time by going to Brill’s final chapter, Stuck in the Jalopy, his metaphor for America’s healthcare system. He lauds the main intent of the ACA – extending the reach of healthcare to the people in the United States of America. Brill thinks we are destined to spend 16-20%, of the national gross domestic product (GDP) on healthcare. He believes the ACA will further increase the percentage “as employers continue to increase deductibles and blame it on Obamacare.” The government’s share of costs for protecting those without employer-based coverage will also keep rising. He writes: “Expanded Medicaid coverage and expensive premium subsidies will be only partially offset by the taxes, fees, and Medicare savings extracted in those deals with industry.” Yes, millions of Americans now have healthcare coverage with the ACA, but millions of others still do not. Furthermore, many millions, particularly those in the middle class, will continue to struggle to retain healthcare and strain to manage their premiums, co-pays, and other shifted costs. Healthcare, in the ACA paradigm, may be terribly unaffordable for many in the middle class – the part of America that is the engine of its economy. I can’t be very positive regarding Brill’s actual writing. His simplistic solution to our looming national problem consists of 7 “proposed” federal regulations to “free up” the private systems. His questions to President Obama in the appendix struck me as an embarrassment. Nonetheless, Brill provides a thorough narrative of a complex and important topic with careful references and supporting footnotes. 7. Last month in our Departmental What’s New communication, organized by John Wei, we heard about the yearly Urology Joint Advocacy Conference (JAC), a yearly visit to talk to congressmen and staffers. This year Jim Dupree, Gary Faerber, Kate Kraft, Julian Wan, and Start Wolf joined the conference and gave us their observations in What’s New. High on the agenda for nearly 20 of the 30 years of the conference has been the topic of a “fix” to the sustainable growth rate (SGR) issue I mentioned here last month. This is just one of a host of broken parts in Brill’s “Jalopy of Healthcare.” Maybe a bi-partisan fix is finally at hand. Next year’s JAC will be February 28-March 1, so consider joining in. Talk to our participants from this year. It is inescapable to me that we will be able to manage healthcare in the intermediate or long-term future without a more robust public system, in competition with the private sector just as we have an effective public postal system (yes, Post Office spends more money than it makes, just like the Department of Defense, the Public Health Service, Housing & Urban Development, and the State Department, that all serve the public interest). The mail analogy is useful. Our Post Office works better because of UPS and Federal Express. And vice versa. The public has options to mail a letter or package practically anywhere in the world. The competition benefits the consumer and keeps each organization relatively lean and honest. If the Post Office were our only option, or alternatively if Federal Express or UPS were the sole supplier of mail services, the public would not be served as well as it is now because of competition. Similarly, national healthcare needs a variety of tools for a variety of conditions – economic conditions, disease conditions, social conditions, and public health. Our VA works pretty well, the Federally Qualified Health Center (FQHC) model works pretty well, and a few public hospitals still function. Public options (a loaded phrase, I know) will ultimately have to expand in number and variety to provide full and fair national coverage as well as to manage costs. In fact, if these are not grown thoughtfully and robustly, the entire private system and our economy remain at risk for a wholesale collapse and unfortunate replacement by a single payer national system. The real competition we need in national health care is not, as many like Brill suggest a matter of Aetna, Vs. United Health, vs. Cleveland Clinic etc. The needed competition is that of those versions of the private sector (“nonprofit” & “for profit”) against other very different models including systems in the public sector. Government, the private sector, and the world of non-governmental organizations (NGO) in concert and under sensible ground-rules can supply all healthcare needs excellently, equitably, innovatively, economically, and safely. Our problem is how to put this altogether to create a giant Swiss Army Knife for the healthcare of a nation. 8. The Swiss Army Knife actually began as a folding pocket knife with a screwdriver for disassembling the Swiss service rifle and a tool to open canned food. Karl Elsener began to make this new type of pocket knife in his cutlery workshop in 1884 in Ibach-Schwyz, but his tinkering lasted 6 years before he came up Modell 1890, shown above. The army liked it. No Swiss company had production capacity at the time and the initial 15,000 knives were delivered by Wester & Co. in Solingen, Germany, in October, 1891, although in time Elsener was able to manufacture the knives in Switzerland. Competition ensued in 1893 when the Swiss cutlery company Paul Boéchat & Cie, (which later became Wenger) also received a contract to produce the knives. Elsener used the cross and shield to identify his product and in 1896 Elsener figured out how to attach tools to both sides of the handle via an innovative spring mechanism. In 1897 an Elsener knife included a second cutting blade and corkscrew that was patented as The Officer’s and Sport Knife, separate from the military contract. After Elsener’s mother Victoria died in 1909 he renamed the company Victoria. In 1921 his company began to use stainless steel (known by the French term acier inoxydable, or inox for short) in the knives and the company was renamed Victorinox. Victorinox and Wenger continued to split the military contract and by agreement the Victorinox product was called the Original Swiss Army Knife and the Wenger was the Genuine Swiss Army Knife. Ten years ago, in April 2005, Victorinox acquired Wenger and again became the sole supplier to the Swiss Army. The two separate knife brands, however, were not merged into a single brand until 2013. The Swiss Armed Forces still issues uniform Soldatenmessers (soldier knives) to all its members. A model incorporating corkscrew and scissors was also produced for officers, but because these additional items were not deemed necessary for survival, an officer was left to purchase the upgrade individually. Recognized by the Guinness Book of Records as the world’s most multifunctional penknife, The Giant, includes every tool ever used in Swiss Army Knives with 87 devices that fulfill 141 different functions. The price is around $1000. Although I am a devotee of Swiss Army Knives (in spite of TSA’s determination to relieve me of them) I don’t have a Giant, and actually prefer the more compact Executive. 9. Spring with its longer hours of sunlight and daylight savings time brings seasonal downsides that include tornado season in the Midwest. Of course, every season and geographic location has its particular geologic and climactic vulnerabilities, but in Ann Arbor we live at the mercy of the tornado belt, although luckily just at its edges. 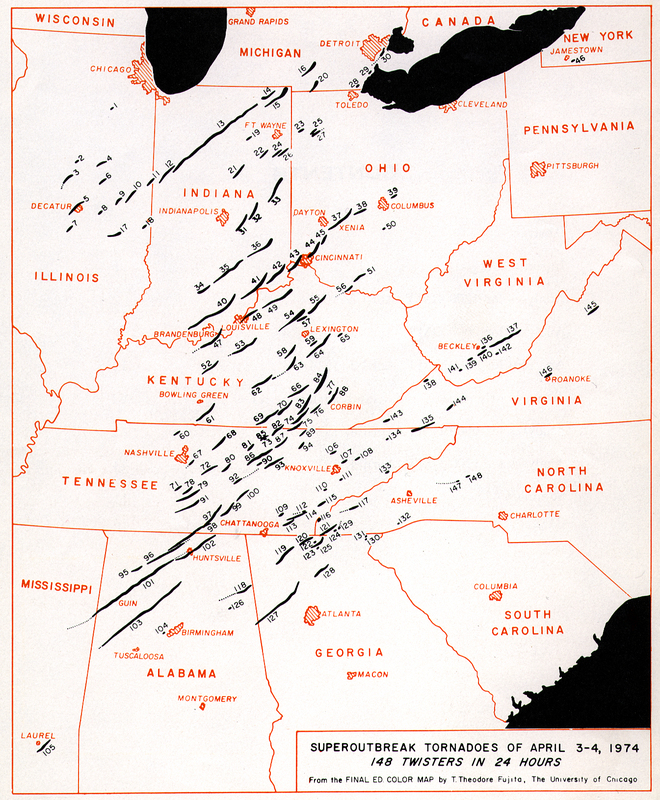 In 1974 North America’s biggest tornado outbreak in recorded history occurred on this day [pictured above]. That Super Outbreak lasted 18 hours with 148 confirmed tornados and a death toll of 315, with nearly 5,500 injured. 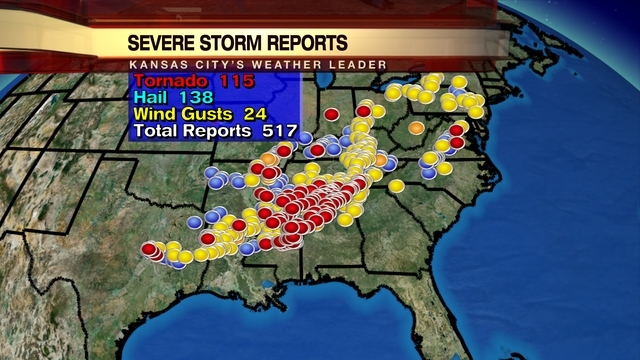 This was surpassed in 2011 April 25-28 with an outbreak over 3 days and 7 hours, 355 confirmed tornados, and 324 dead. Whether or not anthropogenic climate change is causing more extreme meteorological events will take some time to know, but there is no doubt that extreme weather conditions will continue to wreck havoc. 10. Ideological tornados – tiny and huge. The human toolkit is heavily leveraged to technology, but civilization and our humanity are no less enhanced by the study of what we are, the human condition if you permit the phrase again, through the study of history, literature, and the arts. Some ideas in the human toolkit, while disruptive, have been revolutionary in a positive way leading to a better world as most people would view it. Inevitably, retrograde ideas and schools of thought perpetually challenge our better nature. • I’ve recently come to loggerheads with our own journal, the Journal of Urology, established in 1917 and still owned and managed by our profession, the American Urological Association. The journal rejected a paper I wrote and researched with Clair Cox (UMMS 1958, former Chair of Urology University of Tennessee), along with a journalist we encountered in our investigations. The paper was not even sent out for review but was summarily dismissed on the grounds that it was “history.” Our paper explored the reasons for the creation of the first formal national office of the AUA and the interwoven story of the urologic roots of Graceland when it was sold to Elvis. The story is interesting, was largely untold, and required research to discover it. Please don’t view my take on this rejection as a whiny complaint – my emotional balance and career don’t hinge on this publication. I understand that “history papers” in scientific literature may not budge impact factors or subscription rates. Furthermore, I recognize that much previous work in this area has been viewed as “lacking rigor” or has been “celebratory history” (on the assumption that celebration has little merit). On the other hand, few can claim that all “original research” has been worthy. We have seen plagiarism, manipulated data, erroneous conclusions, and undisclosed conflicts of interest, too often. It seems self-evident that all submissions of urological inquiry deserve a chance for peer review by our own journal and by our professional community. Our past is important, our story of urology is important. I suspect this present phase of turning a blind eye to history will fall away to larger and more liberal views within our microcosm of urology (until now our journal over its past 100 years has had a small but rich sprinkling of papers relevant to urology’s history). 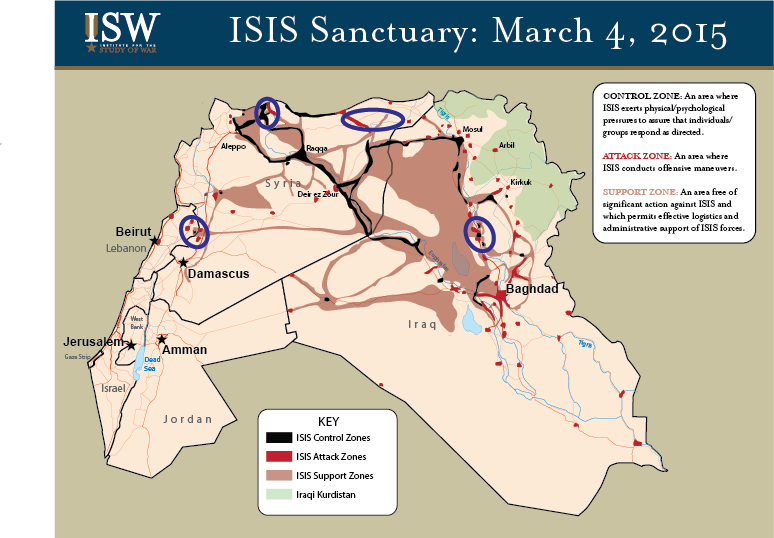 Wood contends that the so-called Islamic State is no mere collection of psychopaths, it is a religious group with carefully considered beliefs among which are ‘amr – the legitimacy of having territory – and its key agency in “the coming apocalypse”. These beliefs are fixed on an ancient utopian theology intolerant of the progress of ideas that ensued over 1000 years since its 7th century origins. In contrast to Wood, an opposing point of view by Mehdi Hasan “How Islamic is the Islamic State?” in The New Statesman [10 March 2015] argues that it is wrong to view this self-declared state as Islamic. However one views this belligerent group, it does have a central theological claim and an ambitious geopolitical agenda that threatens not only its immediate region, but also the rest of the world. History and current events demonstrate that theologically-based intolerance is hardly a novelty of the Islamic State. Those of us who view the best expression of the human condition in terms of democracy, personal liberty, equality, free speech, education, opportunity, innovation, cosmopolitanism (multicultural society), founded on a basic respect for human rights, and dignity seem to be on the defensive today. Yet as these big ideas have been percolating throughout civilization since that first Clovis Blade, challenges and atavistic regressions have always been at play, testing man’s better nature. These regressions, in a Darwinian way, have ultimately put finer points and better details on Mankind’s best beliefs, and history should reassure us that this trend will continue.